Why Should You Care About Emotional Resilience? You’ve probably experienced it before. One of those days where everything that can go wrong seems to do so all at once. Chances are it wasn’t limited to only one day either, but rather extended over a period of a few days or even weeks. But, somehow, you survived. You lived through the panic and anxiety to face another day. Your ability to handle that stress is known as your emotional resilience. And if you want to move up in your career and take on more responsibility, you’re going to need a lot of it. Why does emotional resilience matter? This rather alarming rise in stress-related emotional issues in the workplace can be attributed to two factors: Increased demand for high performance in the workplace, and lack of strong emotional resilience. That threshold is where emotional resilience comes in. 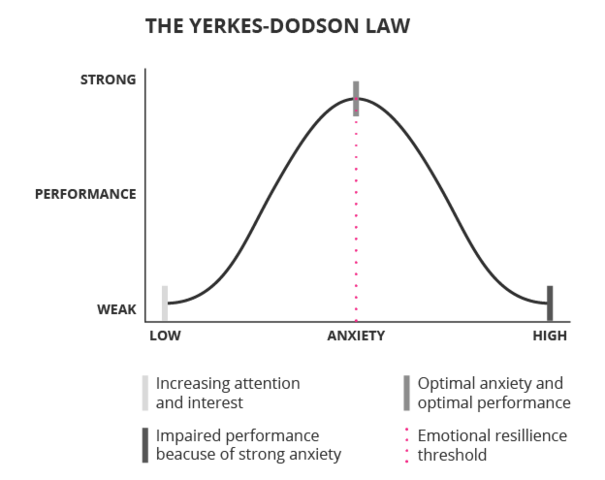 If your levels of workplace anxiety upset the sensitive productivity-stress balance, your ability to handle the situation is determined by the strength of your emotional resilience. How do you undersell your own emotional resilience? Before trying to figure out ways to develop resilience, it’s worth taking a look at your current ability to handle stressful situations. Andy Molinsky, Professor of Organisational Behaviour at Brandeis International Business School, claims there is a large disparity between what people think they can handle and what they can actually bear. Compartmentalise your cognitive load. According to Shawn Achor, author and co-founder of the Institute for Applied Positive Research, of the 11 million bits of information your brain receives every second, you can only process 40.10 While you can’t decrease the amount of stimuli you’re exposed to, focusing your mind on specific activities for set times enables you to better deal with them without feeling overwhelmed. Take detachment breaks. Energy and mental focus cycles are typically 90-120 minutes long, and taking a brief time-out between these cycles has been shown to increase energy levels, mental clarity, creativity and focus.11 The long-term results of taking breaks are a preservation of energy and avoidance of burnout. Develop mental agility. Stressors need to be dealt with in a healthy way, which means you need to be responsive rather than reactive. Psychologist Linda Graham suggests you “pause, step back, reflect, shift perspectives, create options and choose wisely.”12 This skill is known as “response flexibility”, and saves you from reacting emotionally during high-stress scenarios. Cultivate compassion. Research cited by the Greater Good Science Center at UC Berkeley shows that compassion increases positive emotions, creates positive work relationships, and increases cooperation and collaboration,13 all vital steps in ensuring that emotional resilience is built and unnecessary stress is avoided. Ready to challenge yourself and grow your skill set to take on more responsibilities at work?